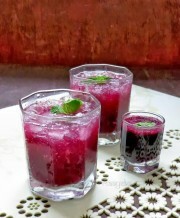 Gulab Ka Sharbat -During summer we all want to have some thing cool and refreshing to beat the heat. 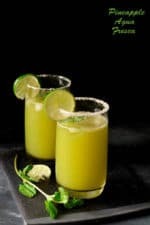 There are so many different types of sharbat and squashes available in the market but they all are loaded with artificial flavors and colours which are not good for health. 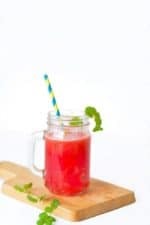 I always prefer to make drinks with fresh fruits at home as they are healthy, fresh and economical too as compared to the juices available in the market. 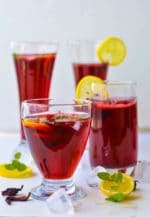 Sharbat made with fresh flowers and herbs are significantly more refreshing and flavorful as compared to off the shelf market products. A few days ago, a very good friend Chandrika ji sent me fresh roses from her garden and I immediately thought to make fresh rose syrup / sharbat with the beautiful and fragrant roses. 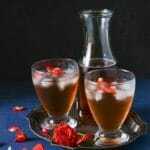 If you want to try this gulab ka sharbat / rose syrup, then try to get the desi gulab if possible, (roses found in India/Pakistan/Sri Lanka) for making this. 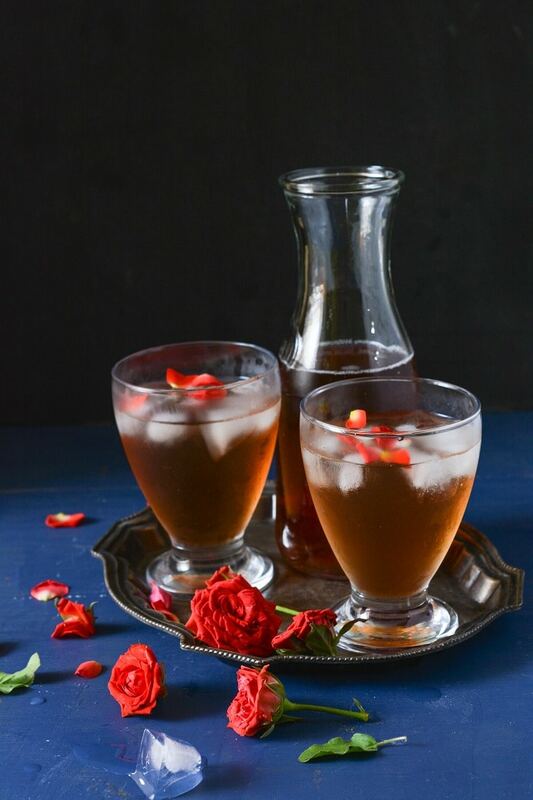 I have not added any colour or essence in the rose syrup/sharbat as the roses have their own beautiful scent. 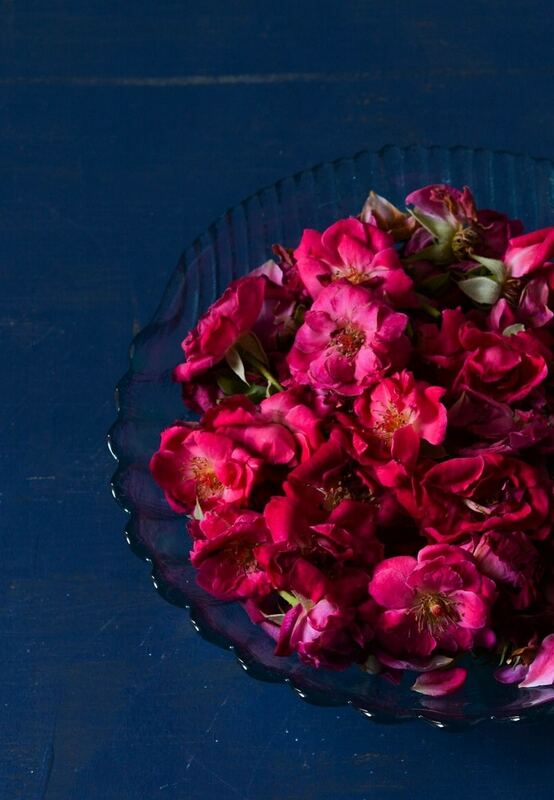 But if the roses you find do not have a strong enough fragrance, you can add a little rose water into it. Separate the rose petals from the flowers and wash them well with enough water. Now cover the bowl and let the petals soak for a day,keep mixing and gently pressing the petals 3-4 times in between. Next day strain the flowers and keep the water and flowers separately. 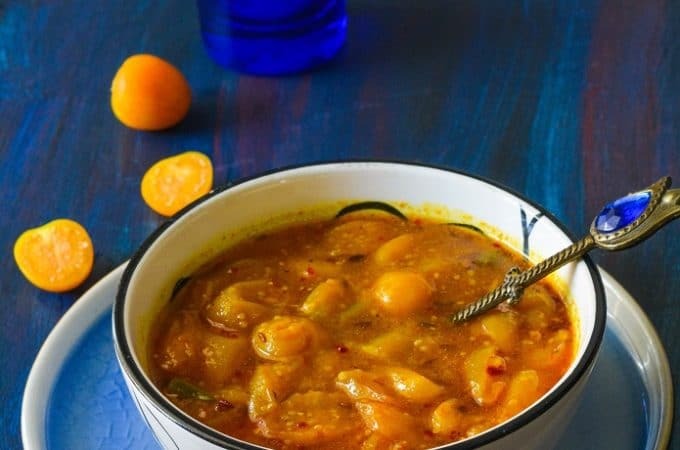 In a pan add 850 gms of sugar and 2 cups of water and boil on medium heat till the sugar melts and the syrup become sticky like gulab jamun syrup/chashni. Now add the rose water( water in which you have soaked the roses and now strained) in the sugar syrup and just give it 2 boils. 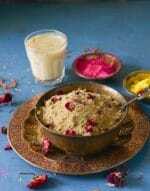 Switch off the flame and add the cardamom powder and the rose petals. 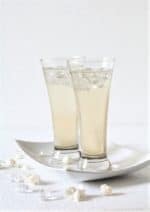 How to serve- fill 1/3 glass with rose syrup ,put some ice cubes and then add chilled water . I tried mogra and rose sharbat! Really very good, my family loved them . Thanks! all the rtecipes that I have read seem interesting and tempting… you keep craving for more… will surely try! great job there !